The Christmas Card Set is a card set with Christmas holiday images on the cards. It is available for all our Windows and Mac card games. The Christmas Card Set can be downloaded fromhttp://www.goodsol.com/pgs/christmas.html. 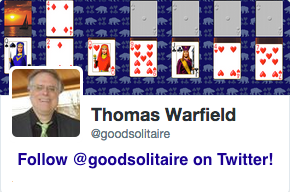 Pretty Good Solitaire (Windows only) is available from Amazon. The Amazon.com packaging and ordering system makes giving gifts easy. 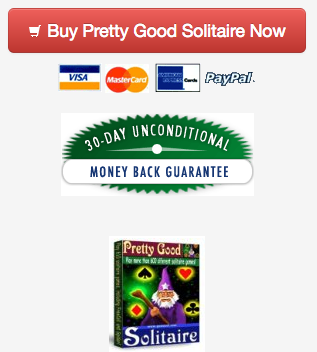 To see Pretty Good Solitaire on Amazon, just go tohttp://www.goodsol.com/amazon.html or go to Amazon and search for "pretty good solitaire". When in stock in the Amazon warehouse it is eligible for Amazon Prime, which means free shipping in the USA. Our new online games site athttp://www.goodsol.com/play now has 100 games! You can play popular games such as Klondike, Spider, FreeCell, Yukon, Scorpion, and many more online. The games will work in most browsers on desktops, laptops, and larger mobile devices such as tablets, including Android tablets and the Kindle Fire. This game is at Seven Devils.